Not all migraines are the same. There are 5 major ways to define your headaches. 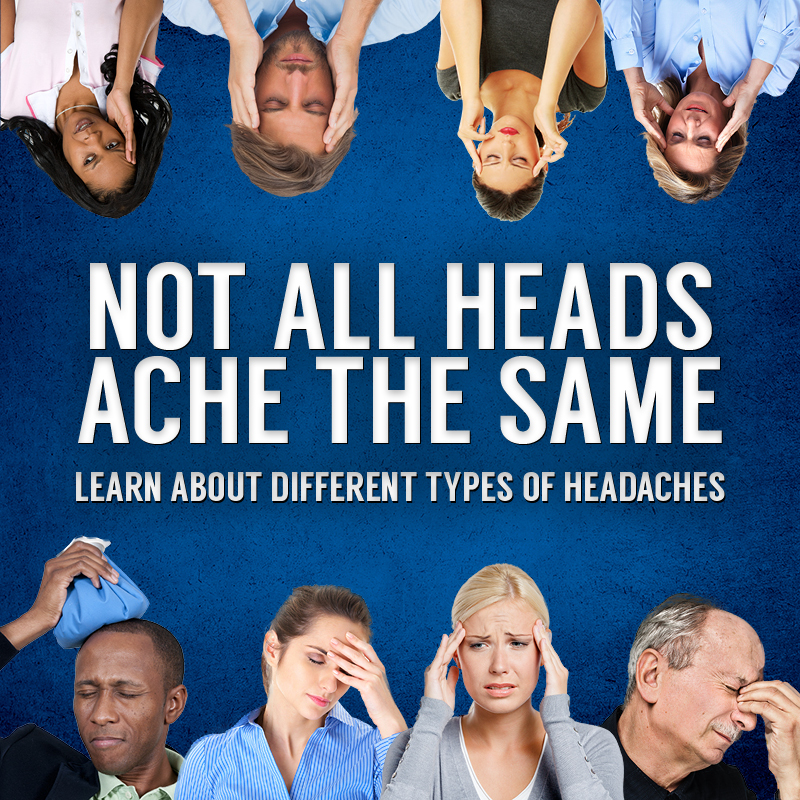 Take some time and read about each one and identify the headache type that applies to you. Sometimes learning more about specific pains will help a patient understand what type of body pain treatment he/she needs. This is the migraine that is severe, lasts longer than 72 hours and will not go away. There is a small risk for having a stroke with these types of migraines. For this reason, admission to the hospital for IV treatment may be required. Some women report having migraine headaches that are directly associated with their menstrual cycle. This may be the only type of headache reported, or it may be one of several types of headache for these individuals. Menstrual migraine appears to be associated with changes in hormone levels. When a definite pattern can be established, treatment may involve taking acute medication during the week before the onset of the menstrual cycle. Tension-type headaches are episodes of headache lasting 30 minutes to 7 days. This is the most common type of headache in the general population and people rarely seek medical help because they can be easily treated with over-the-counter pain medication and stress management. The pain is typically on both sides of the head, pressing or tightening with mild to moderate intensity. Some describe the pain as a tight band around the head. The pain does not worsen with routine physical activity, and it may improve with activity. Sufferers frequently report the pain beginning in the neck. Tension headaches typically are not associated with nausea, but photophobia (sensitivity to light) or phonophobia (sensitivity to sound) may be present. Tension- type headache generally becomes a medical problem when it becomes chronic or occurs more than 15 days a month. Treatment for tension headaches include rest, physical therapy, over the counter medication, and rarely stronger prescription medications like baclofen and/or amitriptyline. The name cluster headache describes attacks of excruciating, one-sided pain that is usually located around one eye. Cluster headaches are less common than migraine, and the headaches are of shorter duration, lasting 15 minutes to 3 hours. Attacks usually occur in a series, or “clusters” of 1 – 8 headaches per day over a period of several weeks to months, separated by headache-free intervals that may last months or years. However, about 10-15% of patients have chronic symptoms without remissions. The attacks are associated with one or more of the following, all of which occur on the same side of the head: red and/or tearing of the eye, nasal congestion, runny nose, forehead and facial sweating, contraction of the pupil, drooping eyelid and eyelid swelling. 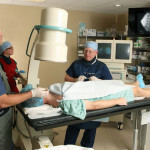 Most patients are restless or agitated during an attack and are usually unable to lie down. It is common to see this person pace the floor during an attack. During a cluster period, attacks occur regularly and may be provoked by small amounts of alcohol, histamine, or nitroglycerin. Cluster headaches often occur at night. These headaches are 3 to 4 times more prevalent in men than in women. Treatment can be quite complex involving the use of 100% oxygen applied using a face mask, intranasal lidocaine, sphenopalatine block, triptans, IV steroids, and other powerful medications. Sinus headaches require differentiation between migraines and a sinus infection, called sinusitis. Sinusitis is an acute infection of the sinuses which can produce a headache and is often accompanied by fever and discolored nasal drainage. This is rarely the cause of recurrent headaches. Most sinus headaches meet the criteria for migraine, and therefore, should be treated the same as migraine. Patients report that sinus medication brings relief within 72 hours, the same as the natural course of an untreated migraine. Treating the headache as a migraine can offer relief within 2 hours. Sinus headache is typically located in the sinus area of the face and forehead. Common symptoms may include nasal stuffiness and drainage, often at the beginning of the attack. As the headache develops, the symptoms begin to match those of a migraine, such as moderate to severe pain with nausea and sensitivity to light and sound. Many people with sinus pain also suffer other forms of headache, such as migraine and tension- type.